In one particular case, we had a client that has an online trial for their software. As part of the workflow the application sets values such as sign up dates and specific interaction dates in order for Marketo to trigger events such as responses for signing up, some simple follow up for inactivity as well as synchronize data between the product/Marketo/and Salesforce.com. However, they began to experience a huge performance backlog which caused key pieces of data to come in a couple of days later. This threw a wrench into tracking for qualified trials as well as all the nurturing/workflow associated with the date stamps for the interaction data. In order to solve this, we needed diagnostic data for the time period and for all of the records in order to understand how the system was impacted. Here were some of the findings. 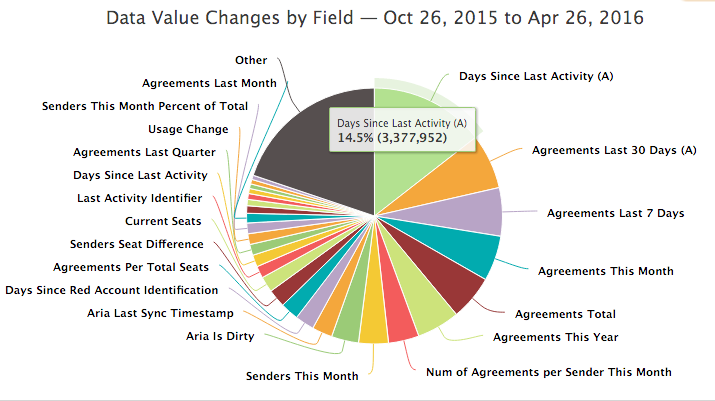 For all activities for the given period, there are 23m data value changes or 92.4% of all activities in Marketo. That’s significant amount compared to what we’d expect to see. 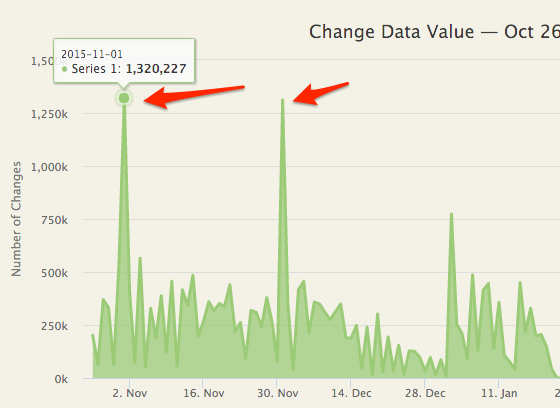 When we looked into the data value changes, they occurred on two very specific dates, November 1st and December first. 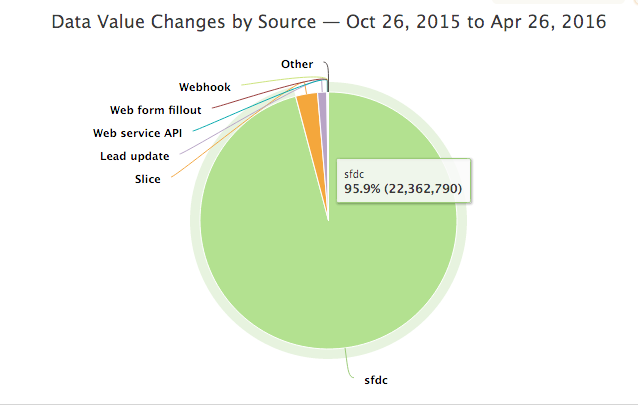 So where do these data value changes come from? 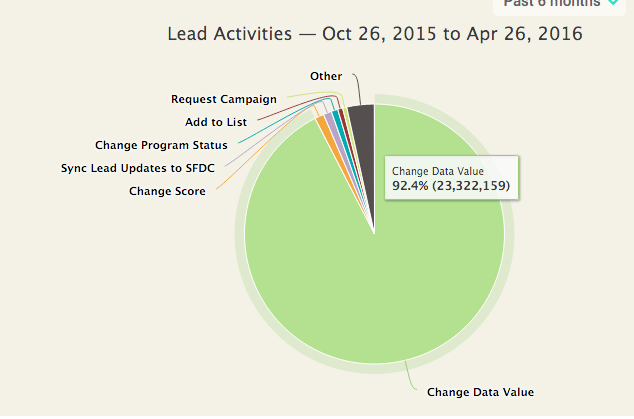 When looking at the source of these, almost 96% of them were changes from SFDC writing back to Marketo. It turned out that during those two specific dates, the sync profiles for all applications that connect to SFDC were changed to add additional field visibility and was rolled out. Hence, all of the data started flooded back into the Marketo records through the bi-directional sync. The final analysis was to understand the specific fields that were syncing back and how much activity data they represented. By looking at the specific fields, the marketing team was able to block ones they did not need coming back from SFDC. We provided a list of about 100 of these fields and all have been blocked. The result to date is a much smoother performance of the systems and so far no significant lags/bottlenecks. We'll be demo'ing this also at Summit next week so see you there!